Interested in becoming a highway patrol officer? If so, you will encounter a written test that assesses your cognitive abilities in job-related skills. 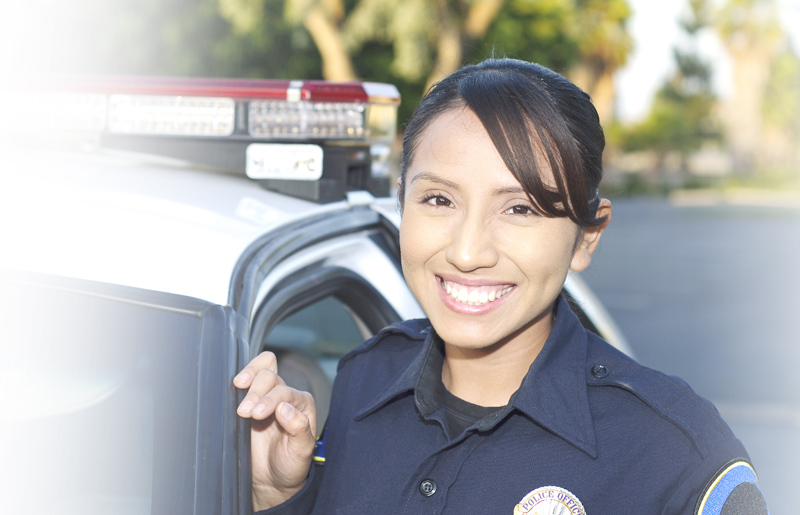 Prepare now for the highway patrol exam with JobTestPrep and achieve success on the test. Simply select the PrepPack™ you need for that personal touch. Exam preparation involves Highway patrol practice tests, study guide, Q & A analysis and helpful testing strategies. If California is your state, you will want to work on CHP practice tests. Start preparing for the exam with our police practice packs which include writing, reading and reasoning ability sections, all topics found on the highway patrol exam. Highway patrol officers, also known as state troopers, are state police officers who work in all states except Hawaii. They are mainly responsible for enforcing traffic laws and apprehending criminals on a statewide basis. Some highway patrol officers are actually the state police. For example the California highway patrol is a state police agency that have statewide authority to conduct law enforcement activities and criminal investigations. They also enforce traffic laws on state highways and interstate expressways, overseeing the security of the state capitol complex, protect the governor, training new officers for local police forces too small to operate an academy, providing technological and scientific support services, and helping to coordinate multi-jurisdictional task force activity in serious or complicated cases. However, some highway patrol organizations, such as the North Carolina State highway patrol are specifically charged with the enforcement of traffic laws, and while able to enforce other laws, they are not official "state police" agencies. Since each state highway patrol is different, the exam is different as well. For example, the California highway patrol exam is a written exam that test your skills in spelling, vocabulary, grammar and reading comprehension. Whereas the North Carolina State highway patrol exam has two different exams a reading comprehension test and the Law Enforcement Candidate Record (LECR). There are generally six phases in the hiring process: 1) Application; 2) Physical Agility Test (PAT); 3) Written exam; 4) Background investigation; 5) Medical evaluation; and 6) Psychological interview and test. Passing each and every step is essential for obtaining employment as highway patrol. Highway Patrol, Microsoft, and other trademarks are the property of their respective trademark holders. None of the trademark holders is affiliated with JobTestPrep or this website.